Another peek at some of the carnival games at Charitable Rust. Torch nerfed, FOV fix, and building changes. Charitable Rust - This Saturday! As you may have seen, we’re hosting a 12 hour streaming event this Saturday to raise funds for Child's Play. We’ve got a custom server setup for the event which features several mods and role playing events to help optimize gameplay for a 12 hour period. 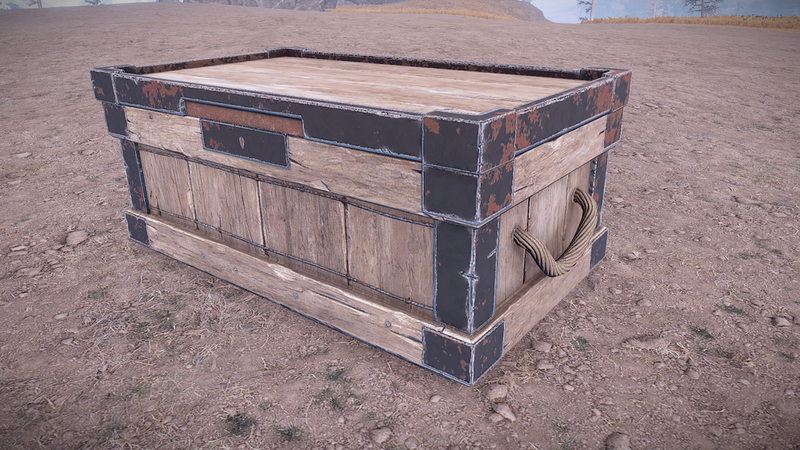 Build kits, shops, carnival games, and colosseum fights with prizes will enable players to engage in various fun activities while still enjoying some traditional Rust gameplay. With a bunch of streamers lined up, surprise visits from Rust developers, raffles (with real prizes) every half an hour, and various other events planned throughout the day, this is gearing up to be an action packed day! A bug reintroduced last week, people have been adjusting FOV to give themselves increased zoom while looking down the sights of guns along with using it to see through walls at times. Andre has thankfully made this a thing of the past by ensuring FOV is always set to a valid range. Working on another round of changes for the building system, Andre has been making some shifts for the next update. Most specifics are unknown at the moment, however, it appears many of the changes are in the realm of stability. Expect more info on this in the devblog. Vince is also working on a branch called building atlases. Aimed at improving performance and load times, this is a welcomed body of work. You can learn more about atlases here if you’re interested.